Three new team members join the agency at its new Tobacco Dock headquarters. Seventa Events has opened new London offices located at Tobacco Quay in the East End. By opening the new offices, Seventa intends to expand its roster of London-based clients and reach across the rest of the South. The team continues to grow with three new team members - Jen Llewellyn, Laura Maidment, and Chris Masefield. Jen Llewellyn has come onboard Seventa having previously spent 10 years with global brand Sunseeker where she was responsible for organising staff and client facing events across Europe. 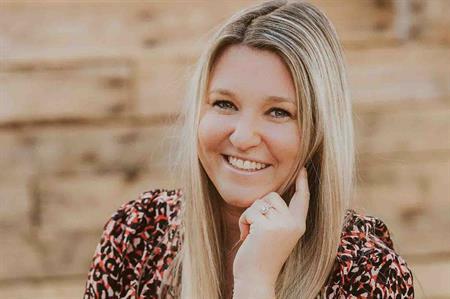 Following a period working with Seventa Events on a freelance basis, she will now go full time as a senior event producer. "It's clear that Seventa is a company that has no limit of vision and is only going from strength to strength. I'm thrilled to be joining the team," she says. Laura Maidment has also been appointed as a venue and meeting booker following contract wins with several major clients. She says: "Seventa is an ideal place to be developing my career in the events industry. The team have a vast amount of knowledge and experience which I look forward to learning from while also using my own skills to aid the company's growth." Founder and director of Seventa Simon Brooks said: "Securing our first London offices is a significant milestone in the evolution of Seventa Events. We are gaining more and more clients in the capital and so this felt like the natural next step in our growth plans. "We have a great team here at Seventa and along with our expansion into the city are really excited to be welcoming Jen, Laura and Chris to the team. Each of them brings their unique talents onboard which will benefit the business and ensure we continue to deliver results for our clients." What now for visas, biometrics and the future of travel?